Finally, a cloud of your own - Save everything in one place and access it from anywhere with your PC, Mac, smartphone or tablet. Protect your files with automatic file backup for all your PC and Mac computers. And it's all stored on your home or office network, not a remote server, so there's no mysterious location of your data. It's more than network storage, it's your own personal cloud. 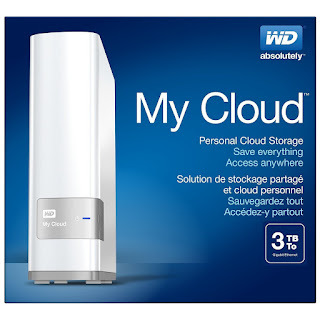 Get this certified refurbished WD 3 TB Personal Cloud.